At first glance, it may seem like all electronic/computerized maintenance tracking and management solutions have a similar touch and feel. This is why you need to delve a little deeper into the nuts and bolts – no, you don’t have to be a programmer – but by understanding some key points, the picture changes considerably. Industry terms like servers, the cloud, mobile apps and APIs are not just programming terms. These terms speak to the very heart of your long-term success with electronic/computerized maintenance tracking solution. Here’s a few key areas to consider before you enroll. This might seem like a ‘duh’ moment, but it’s important. Does the maintenance tracking solution run through a web browser? Does it require additional infrastructure such as servers, networks and admin? Who’s responsible for maintaining the application? A 100% cloud-based software as a service (SaaS) or an on-demand platform does not require any local software installation and supports a wide range of operating systems and browsers. A cloud solution should be geographically dispersed with redundancy to minimize the chance of a service disruption and provide recovery in the event of a catastrophe. Systems should be facilitated by modern, trusted cloud service platforms such as Amazon Web Services (AWS) or Microsoft Azure. We live in a real-time, live access world. Your maintenance tracking solution should have mobile accessibility—but not all mobile apps are the same. Some apps are simply websites running in an app. Look for 100% native mobile apps for the best user experience. These are apps built after 2010. Beware the electronic maintenance management solutions that have web or hybrid apps delivered through a native app—performance could suffer. The application programming interface or API is a term that may seem like just computer-speak, but it’s important. A solution built on modern API will let you continually improve application capabilities and access data in ways that you never anticipated. Finally, always ask about security features and ensure that your data is 100% is encrypted. There should never be an option for unencrypted data. Also ask if data is hosted in highly secure SSAE18 data centers with state-of-the-art physical and cyber security on geo-replicated servers. Keeping track of what needs to be done is a never-ending task that some people have formulated into a science. The process of tracking your work, however, seems daunting. Most people have the perspective of “see a problem, fix problem.” However, life isn’t that simple. In our industry, you need to be able to identify the problem or issue, plan the resolution, track the implementation and record the solution. So how do you do that? Do you write it down and put it in a box for the next person? Call someone? Send them and email? Shoot them a text? That all can work, but how do you know it’s getting done? What kind of oversight do you have to the process? How are you ensuring compliance? What about generating the reports that your operation requires? Leveraging technology with an automated workflow that incorporates work orders can simplify this undertaking without adding layers of unnecessary or duplicated work. Learn how to use the work orders, assign tasks, add a tag, mark as complete and add compliance. One place, one record, searchable, auditable and, as always, accessible! Many flight departments view work orders as only being needed for major inspections since that is traditionally how a service center operates, but it doesn’t have to be that way. Use the tools at your fingertips and incorporate work orders -especially paperless work orders - into your operations. Increase efficiency and compliance without increasing hassle into the maintenance tasks. Below is an example of how a part 91 operator leveraged Flightdocs and paperless work orders in their department. Of course, this is how they used them, and every flight department is unique. Keep in mind that this process was designed for the uniqueness of this industry and is flexible enough to meet your needs! One often underutilized feature of Flightdocs is the ability to assign users and flags. This is especially useful for larger departments or departments that have multiple people on multiple shifts. It allows for tasks to be assigned to certain technicians and tracked. As the supervisor, you can go through each item on the work order and assign the work to each technician. They will then be automatically notified of the assigned task (which eliminates the “I didn't know” mentality) and that visibility stays with the work order. This allows for anyone to be able to check the status of an item or task. They can see the sign-off status and who it was assigned to, allowing them to ask the technician directly. Flags are similar in regard to assigning users once an item is complete. The item can be flagged for review, the need for a logbook entry, a second signature, etc. These flags trigger automatic notifications in order to ensure concise and real time communication. For example, if your technician is at the end of a shift, they have finished all the items assigned and need the supervisor who is on a different shift to review the work, they can flag those items, and the supervisor will be automatically notified. This eliminates the classic “turnover lag” because it's all automated. Flagging an item in a work order also gives an additional method of verifying that the aircraft is good to go and ready for release. Because there is a column that shows the status of the item, and that it’s complete, once the flag is marked as “complete,” it is moved to a second column. This allows the technician who is about to release the aircraft for flight the ability to quickly run down the WO and ensure that everything has been completed and reviewed. Then, they can select all those items, efficiently generating a logbook entry. Take the time to learn about flagging and how quick it is to build a work order and add items. Reap the benefits of maximizing the efficiency of your operations and communication between departments, all the while providing transparency and accountability. As we begin each new year, there is a certain level of enthusiasm for the future - the possibilities are endless and we have a clean slate to write the newest chapter. With the excitement, let’s also take a moment to reflect on some of the accomplishments in aviation of the past year. 2018 saw notable technological advances come to fruition, a bipartisan realization regarding FAA funding, new aircraft certified and delivered, and a general aviation jet aircraft winning a prestigious award. This past December, Virgin Galactic accomplished its first space flight with its pilots earning their Commercial Astronaut Wings from the FAA. This marked the first commercial space flight since 2011 and Sir Richard Branson told a TV interviewer in October that Virgin’s first commercial space trip with him onboard would happen “in months and not years.” It has been three months now since he made that claim so it looks like 2019 should be the year! In our rather tumultuous political climate, it was good to see that our government passed a bill that included Long Term Re-Authorization of five years for the FAA. A summary of the bill, states that “the FAA Reauthorization Act of 2018 (Division B) is a five-year reauthorization of Federal Aviation Administration (FAA) programs that invests in airport infrastructure, promotes safety and American leadership in aviation, and strengthens consumer service.” This bill does not include the very contentious privatization of the ATC program, which had been removed and then been inserted back in at the 11th hour. The privatization of ATC was seen by many in General Aviation as an attempt by the airlines to take over the ATC system and in many ways force GA out of many airports with excessive fees and restrictions. Among the many issues this bill addresses is the need of oversight for low altitude UAS operations. The incorporation of UASs in the airspace is a complex endeavor that impacts the safe operation of manned aircraft, and now the FAA has the resources and incentive to address in a manner that will ensure safety while encouraging legal operations. With each year we also get new and improved aircraft delivered to the market. 2018’s premier additions were the Gulfstream G500 and Pilatus’ entry into the jet market with the PC-24. Also, the FAA Re-Authorization Act has a line item in there that authorizes the FAA to certify new civil supersonic aircraft that reduce sonic booms. This April saw the National Aeronautic Association (NAA) announced that the Cirrus Aircraft Vision Jet was awarded the 2017 Robert J. Collier Trophy for developing the world’s first single engine Personal Jet and implementing the Cirrus Airframe Parachute System (CAPS) on the aircraft. The nine nominees included the Boeing 737 MAX, Edwards Air Force Base F-35 Integrated Test Force, NASA/JPL Cassini Project Team, Perlan Project, TSA, ALPA, and A4A Known Crewmember and TSA Pre✓ Programs, U.S. Marine Corps, Office of Naval Research, and Aurora Flight Sciences AACUS Autonomous Helicopter System, Vanilla Aircraft VA001 and Zee Aero Division of Kitty Hawk Corporation. Quite an accomplishment for Cirrus and light general aviation. Along with new aircraft certifications and deliveries, there have been technological advances that have allowed for an accelerated certification period for small aircraft avionics that provided the technology, while also meeting the challenge of keeping the cost down. The Garmin G5 digital attitude indicator and horizontal situation indicator (HSI), along with their add-on GFC 500 digital autopilot, have met the challenge and infiltrated the retrofit market. Along with Garmin is Genesys Aerosystems’ S-TEC 3100 digital autopilot. 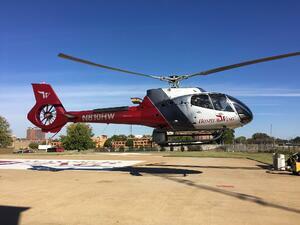 Just a couple of examples of how manufacturers are addressing the needs of all of aviation. These advances in technology that are also sensitive to the price point ensures that the private pilot and light GA enthusiast can still operate and fly in today’s air space. A major topic throughout 2018 and that will be headlining for the next few years is the aviation industry’s workforce needs. A thriving general aviation population is key to introducing and developing the aviation industry of the future. Boeing’s annual report looks at the shortages for pilots, technicians and cabin crew. 2018 was a year where the shortages were starting to be felt and 2019 will be a year where the strategic plans the industry has been working on will have to be implemented and brought to fruition. Looking back on 2018 reminds us all of how far aviation has come, and all the brain power, sweat and tears that make the impossible possible. 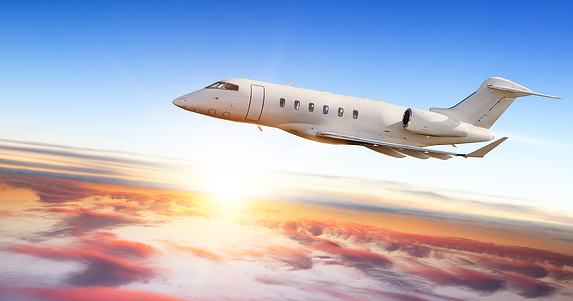 Each year brings new and exciting advancements to the aviation industry: from commercial space travel, to your own personal light jet, to the latest technologies in your 172. As we all look at not only the year, but the years before us, let’s remember to embrace the unknown, strive for the seemingly impossible and share the wonders of aviation and the industry that supports it with others. In the world of purchasing, paper has been king and the death of many a tree. Even with the digitization of many of our documents, it’s often the case that we don’t actually maximize our technology usage to automate and control the process. We have digital files that we are still printing, signing, scanning, sending, filing and then having to find again. In today’s world, there are tools that are designed to increase the oversight of your purchasing process by implementing electronic and paperless workflows, from the initial parts request, to the receiving and installation. Automate the processes that allow for specialized personnel permissions throughout the inventory life cycle. Keep track of requests as they come in and as they are disseminated to the vendors for quotes and acquisitions. Have a parts and/or service agreement? Use a paperless purchasing mindset to keep track of all your parts, where they are, what their status is and who signed for them in a secure system that can be accessed and reported on with the click of a mouse or a tap on the screen. Let’s think about access to your inventory and purchasing process and records today - are they in one location? Do you even have a system? Is your spreadsheet saved on your local computer? Maybe you have a software package that helps you with inventory - do you like it? Can you access your information from anywhere? Can you find the information you need in just a couple of clicks? What good is your inventory and purchasing data if you can’t access it? Do you have a parts subscription or service? Are you able to track and access information on parts that have been returned? Can you answer questions and submit proof within minutes and click and respond? Today’s technology allows for you to utilize a cloud-based service, which not only ensures accessibility across multiple platforms, but also secures the data and backs it up. 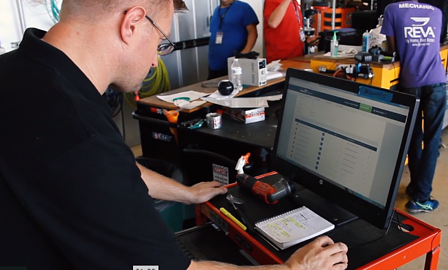 Imagine systems where you utilize your computer, a tablet or a smartphone to reply to a request from your maintenance team. You can research, initiate, submit and accept from any method you choose and from anywhere you have an internet connection. Aviation is a 24/7/365 industry and, many times, there are instances where you are not in the office, but your position requires you to be able to handle requests at a moment’s notice, any time, night or day. So, retire the PO binder and simplify with efficient and intuitive technologies. The key to keeping effective inventory is knowledge, understanding and control of the flow of parts and materials in an operation. Operators like Reva Inc., are realizing significant control and visibility of their inventory simply by losing the paper and adopting technology. By implementing electronic or paperless workflows, you take control of the process as well as the materials. Software applications should allow for different levels of permissions and access. Say you want your floor techs to be able to view your inventory and see if a part is already available, but you do not want them to be able to issue a PO and work directly with the vendor. This is easily handled with different permissions. You simply assign the right people for the approval process in the work flow, you get a notification, you make your decision and then you push it to the next step. Control allows for you to effectively manage inventory levels and cost while also delegating pieces of the process to individuals as is appropriate. Imagine a scenario where you aren’t chasing down a handwritten or modified PO in a binder, if it’s even there. Imagine a scenario where you feel confident in your processes and know that you have the control mechanisms in place to ensure the quality of parts and service necessary to support your flight department and its people. A paperless purchasing and inventory control system doesn’t have to be complicated. The system should be efficient and intuitive. It should have an easy-to-understand parts and purchasing management philosophy that enhances your operations, not hinders it. Embrace a new approach that allows for you to manage, control and execute inventory and purchasing the way it should be done in the 21st century. The process becomes even more interesting when managing a fleet. Not only are you tasked with the day-to-day logistics of keeping a fleet airworthy, but you need to be able to think months in advance to plan for those large events. Are you going to do it in-house? Are you going to comply with optional service bulletins or do any major mods? Are engines due for an overhaul or MPI? What’s your budget? What kind of downtime do you have to work with? There are a litany of considerations and you could be juggling multiple projects to boot. To make matters worse, you’re probably short staffed because everyone is scrambling for qualified A&P technicians. Too often, you’re left worrying about what you missed or didn’t consider. It doesn’t have to be that way if you plan early, budget accordingly, account for squawks and rely on electronic tools to mitigate errors, eliminate redundant paperwork, reduce labor costs and provide for transparency at all levels. First, a little history: Technology has come a long way since Charlie Taylor’s day. Charlie was a genius and had a photographic memory. Although we all aspire to be “like Charlie,” our aviation ancestors understood that change was required. Enter the FAA to create the rules around record-keeping, such as AC43-9C, that provides the direction needed for aircraft maintainers throughout the U.S. As aircraft became more sophisticated, the need for automated tools to assist flight department managers became critical. Starting in the 1960s, the computer age allowed for the loading of aircraft inspection descriptions and requirements into a mainframe computer. Updates were usually done via a punch card system or other medium for updating. Maintenance reports were generated, but users depended on third-party providers to send out reports and prepare updates that could take a month or more. If there were errors in corrected reports, the wait could be another month. Things have changed considerably since those days. Aircraft data can now be available in real-time via cloud-based solutions and, depending on the vendor, data can be updated in real-time. If you are tracking maintenance with an in-house program or spreadsheet, you might be missing out on some of the tools available to you with a cloud-based solution. There are various cloud-based or web-based maintenance tracking providers on the market—in all cases, your number one priority when selecting the best program for your organization should be data security. One inherent feature of cloud-based applications is the storing of data in multiple replicated data centers - as compared to web-based - where the data is stored in a single data center. Cloud-based apps offer more open architecture to create lines of communication between software. It is the most secure option available when considering a third-party vendor for maintenance tracking. The second priority is the integrity of the data. We have all heard the term "garbage in/garbage out." Evaluate how data is entered in the system, the audit process, how data is prioritized as a change to the tracking system and, most critically, how you know when the data has changed. Data entered into the system must be audited and all chapter 5 requirements confirmed. As the POC for all maintenance issues, the system should generate a receipt of all changes. Knowledge in real-time and information at your fingertips is powerful and your system should deliver that information quickly and clearly. You should be aware when an update is performed, a discrepancy created, a revision applied or an Airworthiness Directive issued. The receipt becomes your paperless verification tool. Now, let’s talk about access and the value of data in real-time. Some tracking companies have the best of intentions in supplying access to data, but many depend on antiquated legacy systems developed during the Cuban Missile Crisis. Layers of functionality and complicated processes for accessing data impede the ability to use data in a meaningful way. Increased instances of errors are introduced into the system, not to mention the hours of training required to use the system. Untold hours are spent correcting data and waiting for corrections to be implemented, or worse, you wait days for a call back from your provider. Modern systems allow for easy access to data. For instance, a streamlined landing page offers one-stop access to the maintenance status of a fleet—no digging, no drilling, no questions. Is N1234 available for dispatch? The landing page should indicate "Yes" or "No." You should have confidence that when you pull a report you are looking at the most up-to-date status of an aircraft. Reports, task cards, procedures and due lists should be easily accessed, generated and manipulated. While the technology should give you the ability to update your own data, you should also have a 24/7/365 customer support team to update your records in seconds or minutes, rather than days or weeks. 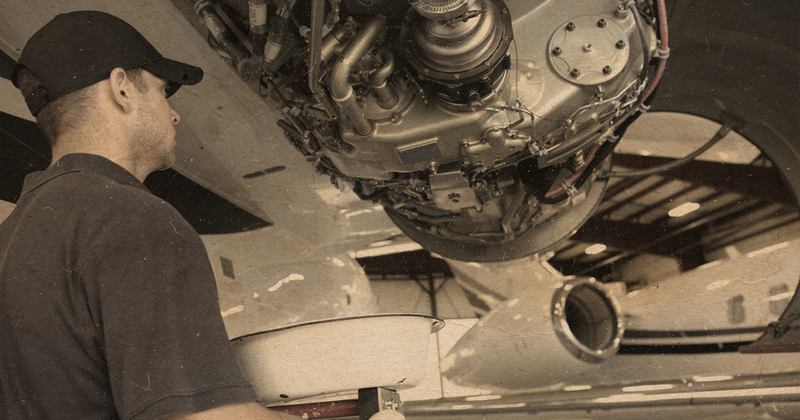 Also modern systems require minimal training allowing you to focus more on the nuts and bolts of maintaining aircraft. Keeping systems simple on the front end require tremendous effort and creativity on the back end. OK, everything is great with the security, the data is up to date and correct, you get notifications of changes, you can access the records easily and quickly, so what about all that paperwork? With the FAA adopting AC120-78A, your operation can go completely paperless. With iPhone and iPad applications, maintenance procedures can be accessed, signed off and a log book entry completed with just a few clicks. With the mobile applications, pilots can communicate with maintenance through reporting of times or discrepancies right from the cockpit. Pilots can also sign off ramp checks, VOR checks or pre-flights right from their smartphone and have those records archived in the cloud-based system. Pictures and video can be captured and attached to a discrepancy “in flight” and reported to maintenance via a notification generated by the system. Transparency between operations and maintenance is critical and the use of handwritten notes carries the risk of something getting missed. The technology is all there to prevent a mishap or miscommunication. And what about that large inspection we spoke of earlier? Electronic work orders are perfect for building a “Living File” to plan your maintenance event. Due items, modifications, discrepancies and maintenance procedures all live in the document. Once the work scope is complete, generate a log entry, select your return to service statement and sign it off with E-Sig. Use it in-house to track completion of a job or send out as an RFQ to multiple vendors to quote. Your options are endless. In closing, your data is a tool—make it work for you. Gone are the days where you need to spend several hours a day maintaining your own data. Access to your data should not take weeks of training and you should be confident that the data is correct. Transparency between operations and maintenance should be facilitated and a heavy emphasis made on using system intelligence and electronic processes to mitigate errors. More importantly, you reduce the size of the pile of paperwork on your desk. Options are out there, and you owe it to yourself to explore those options. Take a day off occasionally. Sleep well at night, confident in the systems you have selected to help your organization in its mission of providing safe, reliable aircraft on time, every time. Putting a Price on Time. What’s it worth? What is your time worth? It’s a common question that is often quantified by compensation based on expertise, experience, potential, and the value you bring to your company. Additionally, how you use your time is also part of the equation when it comes to delivering value and assessing performance. 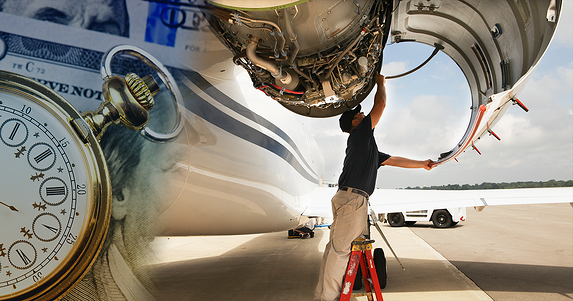 In the world of aviation maintenance, considerable time is spent ensuring the safe operation of a myriad of different aircraft while maintaining asset value and, in many cases, managing employees. You’re responsible for establishing the workflow, the processes that ensure task completion, regulatory compliance and ultimately, a safe flight. Unfortunately, much of this time is spent spinning your wheels and going no where fast. Assessing an individual’s value is often a measure of expectations versus results. Capitalizing on your technical skills to identify areas of improvement and ultimately deliver value and establish yourself as a leader. Your time is money and highly valuable. Unfortunately maintenance directors and managers typically spend more time managing inefficient processes that include entering, copying, pasting and exporting data from one place to another. While you are doing this, someone else is likely duplicating the effort in a different set of programs—and never the two shall meet. Many of you have likely become masters at mitigating inefficiencies by implementing a series of band aids to improve deficiencies. You have figured out ways to manipulate the system and compensate for the lack of intuitive processes by adding word processing, spreadsheets, shared drives, etc., along with checklists and templates to your day-to-day. These band aids get the work done, but don’t necessarily add value overall. Driving key changes towards more efficient and modern practices may seem like a lot to take on when time is limited, but technology has made it so that it doesn’t have to be. What happens when you aren’t there? Or when a strong gust of wind comes and shifts this house of cards you have built with your operations? How about when you find a new position, or retire? What does this band aid workflow cost you and your team in terms of time? What would an ideal operation look like? 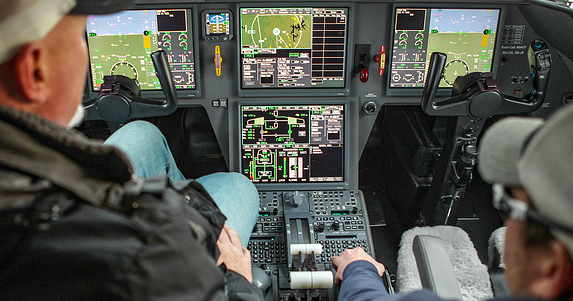 What if you were able to mirror the technologies that propel your aircraft into your operations? Once you understand the risk factors, cost, and time implications of your current process; get out there and explore the possibilities. Today, there are a myriad of solutions designed to automate your workflows, increase communication across your flight department, and give you more visibility into the key functional areas that impact aircraft uptime, resale value, and overall operational costs. Research, compare and analyze your options. How much time will you save daily? What about savings realized in operational costs? How will inter-departmental communication improve? Will it impact technician productivity? If so, by how much? What about data entry and security? Consider the features that enable you to store good quality data in a secure environment. Driving change that improves overall productivity and reduces operational costs is what leaders do. Additionally, you will gain efficiencies and time back into your day to focus on the tasks that deliver the most value to your operation. For more in-depth best practices watch the Aviation Management Best Practices Webinar Series here. For an aircraft to maintain it’s status as airworthy, applicable CFR 14 Part 43 regulations must be followed. The rules may vary based on operations and airframe, however they all have one thing in common – maintenance tracking is required. Maintenance records are the life blood of the aircraft. They are proof the aircraft has been maintained in accordance with the manufacturer’s documentation as well as FAA or local regulatory guidelines. Good recording keeping is imperative for the safe operation of aircraft. Systems and technology are changing exponentially and the importance of ensuring accurate recording of maintenance is greater than ever. Logbooks for the work accomplished is not only a reflection of the professionalism dedicated to the continued airworthiness of the aircraft but are also a historical record that contributes to the value of the aircraft. While maintenance tracking is required, enrolling your aircraft in a maintenance tracking program is not. Many aircraft operators track maintenance with handwritten logbook entries, spreadsheets, and a host of other homegrown applications. Operators who have decided to enroll with a maintenance tracking service are enlisting the aid of a quality control partner. This “partner” collaborates with the operator with the goal of providing safe and reliable aircraft for the operation. In the past, many OEM’s controlled maintenance tracking in house. Increasingly, the OEM’s have relinquished control of these programs and have allowed third party companies that specialize in the field to provide tracking services. In 2006, it was determined that maintenance manuals could not be controlled by the manufacturer to the point it forced a customer to utilize a particular maintenance tracking program. Restrictions on maintenance manual usage from the manufacturer could not hinder an owner/operator from maintaining their aircraft in the manner determined by the owner/operator for continued airworthiness. This ruling along with guidance from the FAA regarding ICAs allows for owner/operators to choose the solution that best fits their operations. Along with the FAA recognition of third party maintenance tracking programs, they also adopted the AC 120-78A which outlined the requirements that would have to be met for an organization to adopt a paperless compliance program. The fact that the FAA has adopted and promoted maintenance tracking programs and paperless compliance is the indicator of the industry shift into a more functional and streamlined approach to maintenance and the compliance required. BONITA SPRINGS, Florida, July 2018 — Hospital Wing, a Memphis-based air ambulance company, has become the first Helicopter Emergency Medical Service (HEMS) operator in the U.S. to take its operation fully paperless. Utilizing the Flightdocs HMX platform, Hospital Wing has been able to eliminate all paper-based forms and reports from its operation, significantly increasing efficiency across maintenance and operational processes. Operating four H130T2, three H130B4, and one H125B3 helicopters from five bases, Hospital Wing provides 24/7 emergency airlift and inter-hospital patient transfers. 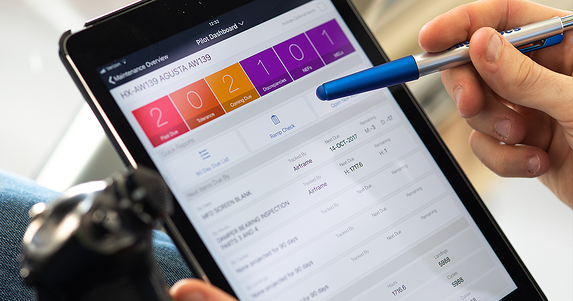 In 2016, Hospital Wing first implemented HMX by Flightdocs, a leading provider of cloud-based aircraft maintenance and inventory management software. Designing and implementing an aviation Safety Management System (SMS) is difficult to understand and do. How do you ensure compliance, readiness and continuous improvement when the amount of policies and procedures – both required and recommended are endless? Add in the vast gray areas of interpretation and applicability to your operation, understanding exactly what needs to be done to have a SMS in place can be a daunting task. The good news is that today there are many tools and resources available to make SMS compliance easier and more effective. Undoubtedly, whatever device you’re reading this blog on is one of the biggest resources you have, whether it is a smart phone, tablet, or laptop. While that may sound obvious, how well are you leveraging the capabilities of that technology to make managing your SMS easier? We all know that aviation is built on checklists, and SMS is certainly no different. With the use of customizable electronic checklists, accomplishing a monthly hangar safety audit, daily ladder inspection, IS-BAO quarterly audit, etc., is as easy as flipping through your favorite social media app. Because these checklists are completely user managed, one can be created for essentially any task in your SMS. Additionally, since you’re using them electronically, there is the same level of authentication, traceability, and access that you would have with your electronic logbooks. Another way you can leverage technology in your SMS is to track and manage all your recurring SMS items in your maintenance tracking software system, just as you would with your aircraft. Items such as audits, tool calibration, OSHA inspections, monthly fire extinguisher checks, safety meetings, and training can all be treated as a maintenance item that would show up on a due list and easily signed off on. Again, because this is being accomplished electronically, the audit trail, compliance history, and next due is all done automatically and accessible from your device(s); so, you’re not wasting your time keeping your SMS binder up-to-date and trying to figure out when the next audit is coming up. If you get asked to provide proof of compliance, with a few clicks of a mouse, the entire history is available, no matter where you are or what device you’re using. Speaking of binders, how accessible are those to your employees? Are your SMS, SOP manuals, and other departmental manuals sitting in a dusty binder at the back of the office or are they available electronically? Can these policies be viewed on any device, in particular a device that may be assigned to an aircraft, such as an iPad or electronic flight bag? Cloud based storage, such as the Documents module within Flightdocs can provide unlimited data storage for all your SMS documentation.. Users can access, view, print or download documents regardless if they are using an iPad, smart phone, or laptop. With electronic document storage, you can also upload miscellaneous documentation such as, tool calibration certificates, to manage those documents electronically, eliminating the need for a file cabinet full of outdated paperwork and potential missing certificates. Managing your SMS and driving compliance is easier than you think! The more cumbersome processes are, the less likely you and those you work with will comply. By leveraging solutions, like cloud based maintenance and inventory management systems, you take the pains out of paperwork and leverage easy to use tools like; FAA compliant e-Signatures, digital checklists, cloud based document storage, and connectivity across your entire flight department, when you need it on devices you are already using! Your maintenance and inventory software are much more capable than only tracking aircraft maintenance items, so don’t be afraid of incorporating it into your safety management strategy and other areas of your department to see how it can save you time, money, and frustration. Learn more about Digital Checklists and watch this webinar! The eSignature is an acceptable method of compliance not only for the Federal Aviation Administration (FAA), but for all branches of the United States Federal Government and regulatory bodies around the world. The acceptance of the eSignature coupled with the operational adoption of technology and web-based applications, has seen a surge in opportunities for a more streamlined and efficient workflow. This approach to workflow completion and compliance allows many organizations to utilize it in such a way that it increases accountability and oversite, while at the same time decreases the intrusion into a technician’s time. The primary way that this occurs is through the reduction of data redundancy. When you do not have to duplicate your work efforts time and time again, you save time not only on thedata entry, but also measures that allow for data correction. The two most common type of errors are transcription and transposition. Transcription errors are when the data is entered incorrectly such as typos, repetition of words or phrases, and deletion or omission of words. Fortunately, we have spell check, however, traditional spell check doesn’t like many of the technical terms used in aviation, and sometimes a simple letter change can change the whole word. Transposition errors are what happens when you get your numbers mixed up. Did that result in you overflying? Did you schedule maintenance earlier than is prudent? Did you miss a critical inspection? Two of the most straightforward ways to reduce Error Introduction is to reduce data redundancy and to incorporate Operational Automation. In most operations, there are many positions where data redundancy is a way of life. People must fill out the same paperwork multiple times, entering and re-entering the same data different times in multiple places repeatedly. Every time you re-enter data into a new place, you introduce the opportunity for error. Many operations have incorporated templates to reduce the amount of typing, which reduces the amount of opportunities for error introduction. The templates help, however when you type the same thing over and over, you now must remember everywhere you entered that data and in the case an error was introduced, you now must find each entry and verify the accuracy. What if you miss one? What if you messed up in a different way on each entry? Utilizing copy and paste helps, but that doesn’t always work depending on the software you are using and what if you copy and paste the error over and over? Eliminates the need for paper and space to store boxes and boxes of records – saving you thousands in operational costs. So why use an e-Signature? The easiest answer is because you can! The FAA, EASA, Transport Canada, along with a host of other regulatory authorities allow it and have issued documentation on how to implement and utilize in your operations. The regulatory bodies along with service providers have worked to come up with systems and processes that are not only effective in the authentication of the user, but also streamline the work flow. A requirement of an effective eSignature implementation is the ability to preserve the “paper” trail in a digital world. To implement the eSignature and be compliant there must be a trail, a historical record of what was done, who signed it, and in what manner. Every time something is signed off, the record must stand in that same state, errors and all. You must have the paper trail. With eSignature, you have the historical data and the paper trail. However, this time you don’t have to redo every piece of paper to correct an error. Depending on your provider, you should be able to error correct an entry within 10 minutes or less, saving you time, money, headache, and reducing the chances of introducing new errors through redundant work. So how do you implement an eSignature into your operations? The best way is to find a partner who has the technology and has already developed the tools. Ensuring that the tools not only meet the regulatory requirements, but also are in step with the latest technological advances and standards for eSignature deployment. Think about using the eSignature for your log book entries, check lists, work orders – anything in your operations where it is important to know who did the work and is confirming it was done correctly. Use the eSignature for internal compliance, for program compliance such as your SMS programs, maybe ISBAO, ARGUS. Think about where could you utilize this tool to streamline your operations and effectively document your workflow. The possibilities for implementation are endless, and the value added to your work day by streamlining the paperwork associated with an effective aviation operation, is priceless. For more information on eSignature, watch this on-demand webinar!